In complete defiance of the adage that "form follows function", Greco Genève has transformed a truly utilitarian object, the hex nut, into a symbol of modern luxury. Fitting a mechanical movement inside a nut-shaped case, threading included, is nothing short of an exploit, yet the Hexagonal Nut watch is much more than a demonstration of expertise inherited from Swiss watchmaking tradition. The first creation in the Les Temps Modernes collection, it conveys the universal values of one of cinema's masterpieces: Modern Times. 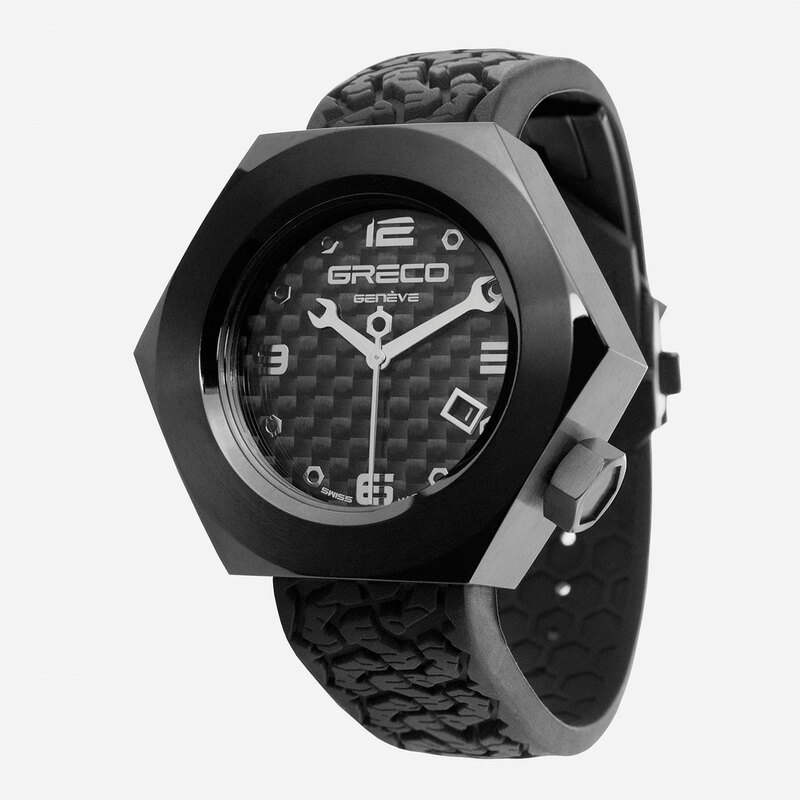 Like the film's hero, Greco Genève plays around with an icon of the industrialised world, a hex nut, and uses it to propel us into a more optimistic future, where people will be at the heart of industrial aesthetics. Full of humour and totally off-the-wall, this 50-piece limited series shows the hex nut in a new light. 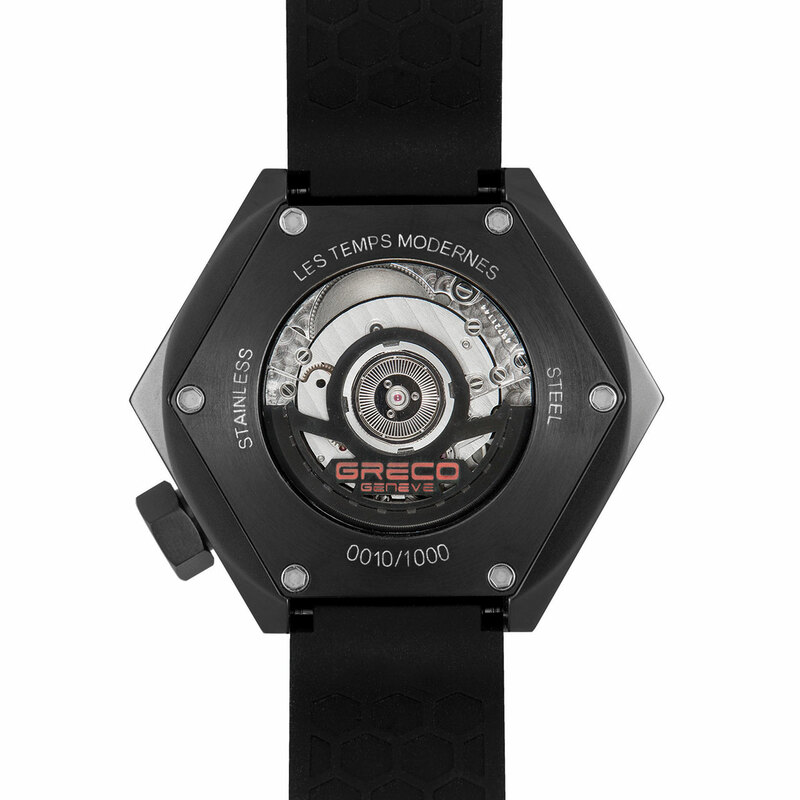 Mechanical allusions abound, from the wrench-shaped hands to the silicon strap that resembles the tyre tread of a powerful 4x4.